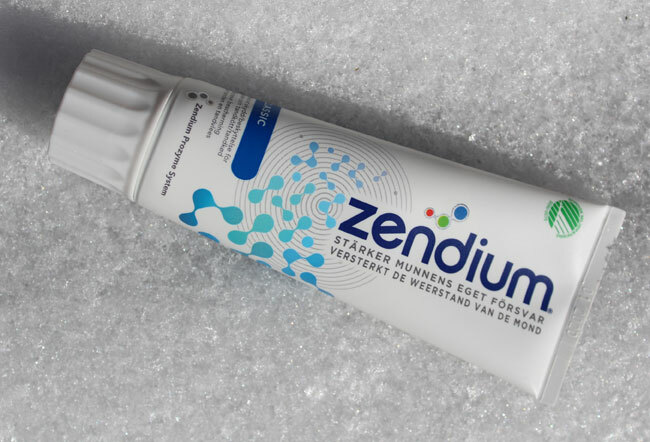 blend-a-med is a wondrous blend of a white and a gel paste. But that's not what the blend refers to; I am assuming the paste creators were referring to a delicate blend of medicinal herbs. Sadly, the box is in every language except English. (Well, I do know that the world has 6,000-ish languages, so I am kidding...) Interestingly, the tube itself is in English. 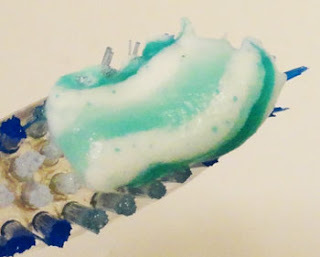 And as you can see, the paste tackles 7 common oral problems: root cavities, tooth cavities, gums (or gum problems, I assume), stains, breath (presumably bad breath), plaque and tartar. And the tube has an illustration of a two-sided capsule with "PRO" on one side and "M" on the other ("mineral"). 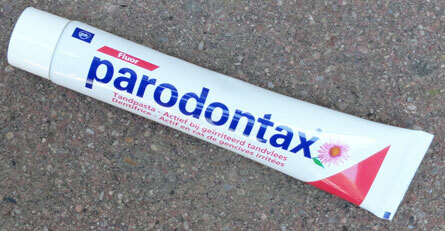 It is a rare herbal toothpaste in that it has flouride. So I can attest to the fact that it does indeed contribute to oral health, at least when used regularly! 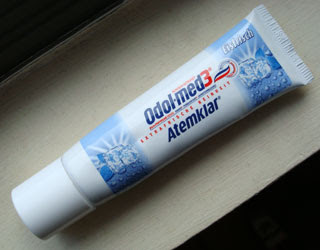 blend-a-med comes from Germany and is produced by perhaps the largest toothpaste producer worldwide, Procter & Gamble. This particular tube came to me via Belgium, where my sister Amy, the very kind contributor, purchased the paste.